"These are paintings made in snatched moments during my young daughter's naps and after her bed-time. I've tried to see the garden through her eyes, and also think about my own childhood spent in gardens. I thought about the worlds that children invent in the garden; something quite ordinary such as a pile of old broken pots in a corner can seem like a magical discovery to a small child." 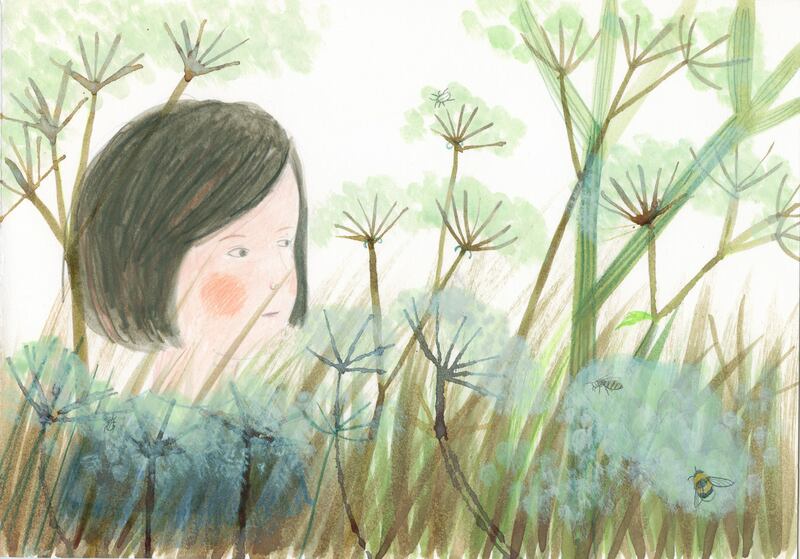 Click the link below to read more about Sarah's work for 'The Garden' Exhibition !